At the tender age of ten, Pug has one goal in life and that is to join the 12 O’Clock Boys. 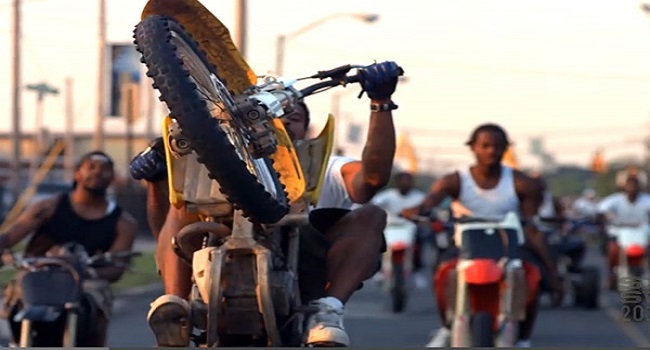 Hailing from the tough streets of Baltimore, the 12 O’Clock Boys are a gang of illegal dirt bike riders who make the local streets their personal playground. Every Sunday the streets are flooded with 20 to 30 dirt bikers doing stunts amidst live traffic. In Pug’s eyes the 12 O’Clock Boys represent the pinnacle of cool, but both citizens of Baltimore and local law enforcement view them as a dangerous nuisance. Filmed over the course of three years, director Lofty Nathan follows Pug as he attempts to make his dreams of joining the gang a reality. During this time Pug wrestles with the death of his older brother and the deep impact it has on him. His overall view of the world becomes more cynical and his carefree attitude towards school does not sit well with his mother Coco. Despite Coco repeatedly telling him that there is no future for the 12 O’Clock Boys, especially with the cops constantly on the lookout, Pugs infatuation with the lifestyle only grows stronger. A visually striking look at life in the Baltimore slums, 12 O’Clock Boys is a mesmerizing film that documents a vicious cycle of hopelessness. Dirt bike riding is illegal on the streets, but the bikers openly defy this law every weekend. They frequently taunting the police and openly resisting arrest. Though the news media and radio shows call for a stop to this, the police are limited in regards to what they can do. This is especially difficult considering that it is also illegal for cops to chase after the bikers for fear of public safety. This forces the police to rely heavily on helicopters to follow the bikers day and night. However, like the bikers themselves, the police are not above violating the “no chase” law when provoked. The interesting thing about the dirt bike phenomena is how it is viewed as both vile and liberating depending on which side of the law you reside. The bikers are aware that they are breaking the law every time they start up their bikes. The mix of high speed octane and the danger factor provides a rush that many covet. However, those same bikers will attest to the fact that dirt bikes saved them from a fate that is far worse in the slums (e.g. selling drugs, getting shot, etc.). Pug points out that in their area “tomorrow is a day not promised. 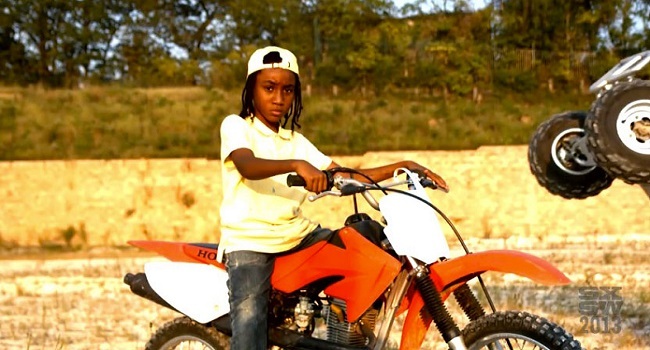 You could die any minute.” Dirt bike riding provides the ultimate freedom from the hassles of everyday life; even rival gangs stop shooting each other on Sundays and join in the street riding together. For a debut feature, Lofty Nathan definitely has a strong visual eye. He manages to capture the high octane thrills and overall criminality in a beautiful way. Even the film’s slow motion sequences will make your jaw drop. However, what is the most intriguing thing about this film is the level of access that Nathan gets to Pug and the rest of the bikers. This allows for firsthand accounts of the gang evading the police and insight on how the bikers became mini-celebrities in their area and on Youtube. 12 O’Clock Boys does not offer much in the way of answers or solutions to the problem. 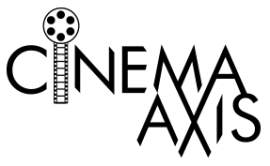 In fact, the film’s ambiguous ending suggests that there may be no resolution to both sides of the debate. This may lead some to think that 12 O’Clock Boys is glorifying illegal activity, but that could not be further from the truth. Lofty Nathan merely wants to present the facts as is. He shows that amidst the dangerous stunts and the high speed police chases, is a generations of disenfranchised youth who are only living for the moment. 12 O’Clock Boys is one of the year’s must-see films. I'm so glad you liked this doc so much. I really want to see it, being from Baltimore and all. It's playing this weekend at the Maryland Film Festival and I hope I can make it to that showing. I've actually seen the 12 O'Clock Boys on their rides many times over the past few years. It's certainly a huge spectacle but I've never seen any bystanders in immediate danger. It's more of a get out of the way and wait until they've gone by type deal. Since you have seen the 12 O'Clock Boys in person, you really should make the effort to see this film. I would love to hear your thoughts on how both the riders and the police are depicted in the film.